There's Never Been A Better Time! 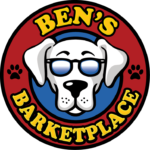 Dr. Jyl Rubin goes to Ben’s Barketplace in Roseville to discuss the importance of natural and raw foods for dogs and cats. A “species correct diet” can help keep pets healthy, especially if their owners have tested and know their pet’s food intolerance and allergies.